How am I going to keep someone from stealing it? Even if I know where it’s parked, how am I going to find this generic stroller in a sea of other strollers? Everyone wants to believe that theft never takes place in the Happiest Place On Earth. Unfortunately, it does. When thinking of ways to keep your stroller safe, you have to find your personal balance between ease of use and security measures. Some people go the route of buying a stroller lock. I actually did purchase one of these for our trip and decided not to use it. Time and effort. I didn’t want to have to deal with threading it through the wheels while leaving it able to roll. Note: you must leave the stroller so that CMs (Disney employee Cast Members) are able to move it as needed. That means, making sure they can at least lift it up and roll it using some of the wheels. Make the stroller look different from other strollers so it cuts down on the “I thought this was my stroller” argument. We did leave items in the stroller. But they were things like The Boy’s swim suit, diapers, wipes, thermos bottles of water, snacks and frozen bottles of water. The diapers and wipes were in plastic grocery bags and the snacks and frozen water bottles were in a close-to-worn-out insulated lunch sack that had The Boy’s picture from daycare (one of those free gifts they give you to make sure you buy a package from picture day – it worked). I purposefully put these items in cheap bags because that also cuts down on the theft factor. Many people will think nothing of leaving a nice diaper bag in the stroller. Don’t do this! For the second point, making the stroller look different not only cuts down on someone taking it thinking it was theirs, it also makes it easier for you to find later. Many people will have that sinking feeling that their stroller has been stolen only to find that a CM has moved it – or that they forgot where they parked it. Here are some tips for keeping up with your stroller. Park in a real stroller approved area. If it gets crowded, CMs are required to move strollers so that people can walk. If you put your stroller in a stroller approved area, chances of it being moved more than a few feet are slim. Park your stroller as tightly in with other strollers as you can. Those people who try to park their strollers crooked and leave lots of room between their strollers and other strollers quickly discover that CMs will shove strollers in like sardines when it’s busy. If you park your stroller tightly to start off, CMs are less likely to shove it into a spot that physics would argue it really couldn’t fit in. Park your stroller in a large, centrally located spot and LEAVE IT THERE. The people I saw who kept wondering where their stroller was were the people who would retrieve their stroller and move it after every ride. Find a large stroller parking area and leave your stroller there while you visit different areas of the Land. When you’re done in Tomorrowland, grab the stroller and take it with you to Fantasyland. 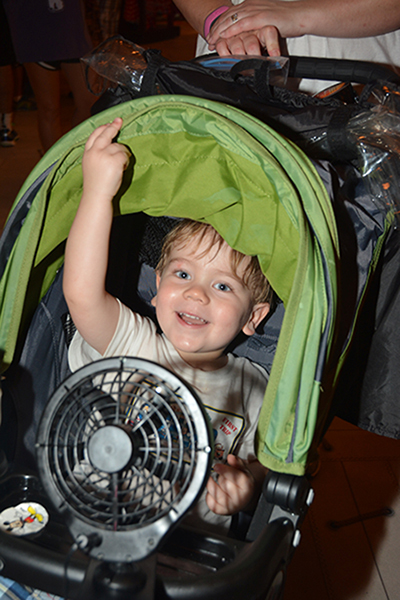 Don’t try to move your stroller to be in front of every ride you’re doing. You’ll forget where you put it, not to mention waste a lot of time. There are a ton of helpful tips out there for how to set your stroller apart. Here are some of them and my thoughts. This is by far the most popular and one of the things I chose. You can pick any kind of ribbon you want. I will suggest staying away from the Minnie polka dot pattern. That was a popular one. For us, I chose green and brown ribbons, tied on the side and hanging down slightly in the back. I didn’t wrap the entire handle because I wanted a good grip on the stroller. They were fairly understated so didn’t pop out at first, but no one else picked that. I saw lots of reds, pinks, and princess ribbons. 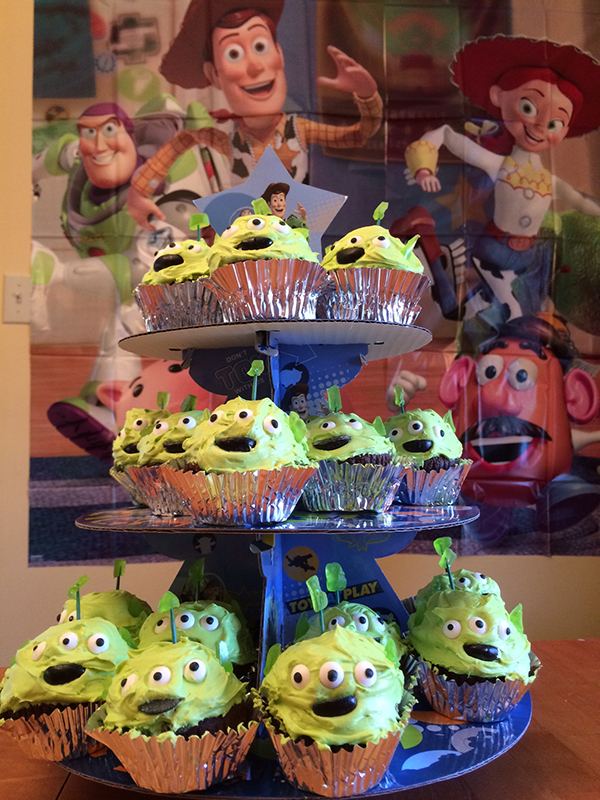 So in contrast, non-Disney colors seemed to stand out against that bright background. Ribbons are easy and cheap to tie or wrap around the handle of your stroller. They also don’t have to be removed when you fold it up for carrying. Highly recommend. Many people will purchase a balloon to tie to the handle. 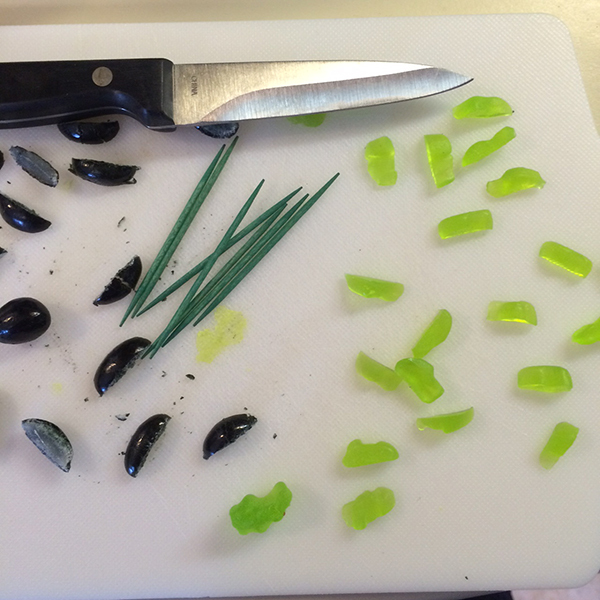 I did not want to do this. They are expensive, they’re not allowed in Animal Kingdom and it’s a common way to set your stroller apart. Meaning – it doesn’t. Plus, they can pop and are pretty expensive. This is an alternate to the balloon idea. I brought a pinwheel with but decided not to use it. I realized I’d have to remove it when folding the stroller. I did though, buy it from Walmart for about $1 so it’s a lot less expensive option than the balloon and would be allowed in Animal Kingdom. If you’re looking for something that will make your stroller really stand out from afar that doesn’t cost a fortune or take up a ton of space, this might be an option to think about. Check out all the online templates for creating your own Disney themed nameplate. These are great since it shows your name on your stroller. Usually it’s set up with a cute Disney background with “The Smith Family.” But it’s an easy way to set it aside. I do suggest laminating this and making sure it’s either in an easy to see pocket or securely strapped and taped to the stroller. Taping another one to the bottom of the stroller in an out of sight spot might also be a good idea in case you’re worried about theft. This was something we did when we were at the park for MNSSHP (Mickey’s Not So Scary Halloween Party). I bought several glow necklaces from a dollar store and wrapped them around the handle of the stroller at the beginning of the evening. This made it amazingly easy to find in the dark. Highly recommend this if you’re going to be there at night. As a side note, I also bought glow wands and sticks at the dollar store and gave these to The Boy that evening instead of buying them. He was just as happy with the dollar store ones as with the expensive Disney ones. I noticed other families doing the same thing. Some folks go all out. They’ll hang stuffed animals, streamers, you name it. Ribbons and nameplates worked great for us because I didn’t have to worry about them as we were trying to fold the stroller. They were not expensive items hanging off the stroller to tempt a thief. I suggest finding your balance between setting your stroller apart and making it difficult to fold up and travel with. 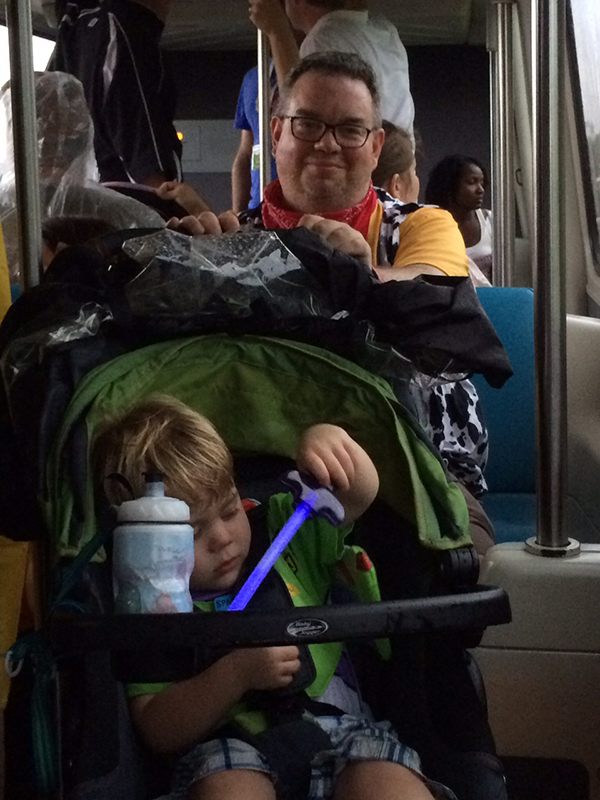 Now that your stroller is fairly safe, in my next post, I’ll talk about how to not lose your kid at Disney. Should I bring a stroller to Disney World? This is one of the big questions people ask all the time. Should I bring a stroller to Disney World? Once they begin to think of that, other questions pop up. Should I bring a stroller with me or rent one? If I bring one, what kind should I bring? Before you can decide, you have to ask yourself a few practical questions. Does my child need a stroller? This is not just an age issue. 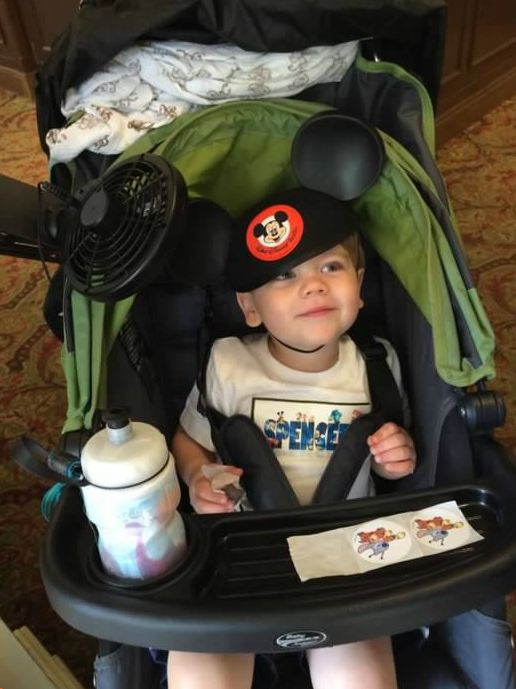 Older special needs children who are capable of walking may still need a stroller at Disney. Younger non-special needs kids may as well. A cousin of ours with a pre-teen special needs child recently took him on a Make-A-Wish trip. Though they didn’t use the stroller much, it was handy for having a spot for him to get out of the crowds as well as a place to carry all the supplies they needed. In addition, kids who have sensory issues often benefit from strollers. Child has sensory issues – do they get uncomfortable with loud noises, flashing lights, or crowds? Maybe they need a safe spot to decompress. Family has a ton of stuff and doesn’t want to put it in a locker. Those things are heavy and pain in the necks on the buses and trams. Worry over loss or theft. Worry that the kid won’t use it. There are several solutions if you decide you want to have a stroller with you at the parks: 1. Bring your own, 2. Rent one from the park, 3. Rent one from a stroller rental agency. Since 1. and 3. have similar pros and cons once you get to the park, I will just say this about rental agencies. Do your research. There are several reputable places and you can easily find reviews on them from the Disboards.com. Should I rent a stroller from the park? What kind of stroller should I bring? Or, better known as…the umbrella stroller vs. the full-size stroller debate. For me, the only benefit of the small umbrella style strollers are how light they are to carry on the buses. They are still pains to squeeze in the seats, but they certainly are smaller than a full-size stroller. That being said, they are terribly uncomfortable for the child for any length of time and they can’t carry squat. So let’s say you decided to bring a nicer stroller with you. This is what we brought, a City Mini GT. Why did I want that stroller? 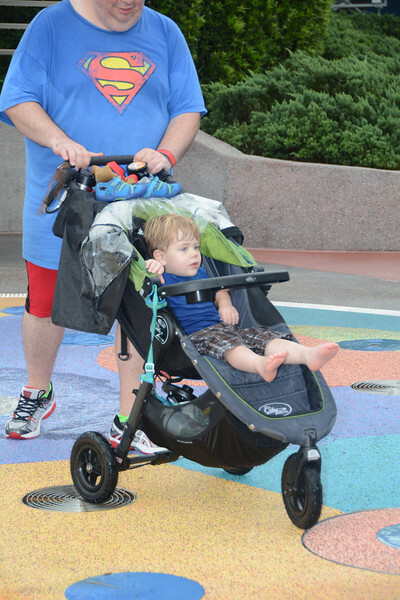 Check out how The Boy is enjoying his bare feet as Mike pushes him in the stroller. That is relaxation you can’t get without a full-size stroller. The full-size stroller has enough room for a little one to really relax while you’re rambling your way across a park or standing in an interminably long line. They can wiggle around and truly take a rest with some toys or just watching the sights in a way that a child crammed into an umbrella stroller just can’t. Many of the nicer strollers can lay down nearly flat. It made staying in the parks for nap time a breeze. We just let our son fall asleep and then we could push him around or park ourselves in a shady spot and relax. It saved tons of time with trying to fight crowds and transportation. It also gave me a chance to shop with him in the a/c and not have to constantly watch to make sure little hands had not grabbed something breakable off a shelf. You can (and SHOULD) buy a rain cover designed for the model stroller you have that zips or Velcros onto it. I’ve seen people suggest using table cloths to cover strollers. I’ve seen people think they can get away with using the child’s rain poncho. These don’t work when the wind is blowing. It was amazing how many people we saw have their stuff ruined because they had a disposable table cloth draped over their stroller only to have a gust of wind blow it up and soak them and everything inside the stroller with rain. You can see in the above picture, we have our rain cover rolled up and Velcro’d out of the way. When it rained, we zipped that rain cover down on top of him. The canopy came down and gave him a nice window view of everything around him and he (and our stuff) stayed dry. When it was raining, he much preferred being in the stroller to being stuck in his hot poncho. Though not a giant place to store things, the bottom of a full-size stroller can take a lot of stuff compared to the small amount you could hang off the back of an umbrella stroller. We could store diapers, clothes, bottled water, snacks, extra shoes, and other items we didn’t want to bother carrying around with us. It was very handy and it all stayed dry thanks to our rain cover. It is not always easy to find places to sit at Disney World. There were many times where we found small benches where only one or two could squeeze on, or metal chairs/benches at an outdoor quick service restaurant that just would not have been comfortable for The Boy to sit on. Having his stroller came in handy here. Please note: you should NOT change a child’s clothes or diaper outside of a Baby Care Center or a bathroom. That being said, when there is only one place to change a child in the bathroom and it’s already occupied, being able to pull up to a corner of the bathroom, lower the stroller into a reclined position and change your child from there is really handy. Especially if you’re concerned about how clean that public changing area is. Notice that first picture at the top of the page. The Boy has his water bottle (on a nice Velcro strap) and he can drink any time he gets thirsty. That was great. Whenever he got thirsty and whenever we reminded him, he would be able to get a nice drink even while we were busy walking. When I thought he was getting peckish, I could pull out one of his snacks and he could lay them out on the tray to eat while we were walking around. You can’t do that with an umbrella stroller. I’m a fairly tall woman. Most of the umbrella strollers I’ve tried make me feel like I’m hunching over to push them. Now, imagine how the typical man must feel trying to push an umbrella stroller. Having an adjustable handle that lets you steer one-handed is a blessing. We live in Tennessee. We are used to heat, but Florida sun is a whole ‘nother ball game. No amount of sunscreen can completely protect a baby’s skin from that blazing sun. Those puny umbrella strollers can not give a truly nice shady spot when the sun is beating down on the child. Notice the fan I have attached to The Boy’s stroller. That is no wimpy stroller fan. That is an O2 Cool 5″ battery operated clip fan. That thing takes four D-cell batteries and blows strong enough wind that it will whip your hair behind you. It was WONDERFUL. And, the batteries lasted me through a Tennessee summer AND that Disney trip before giving out. I was impressed. But it weighed a lot, so you need a heftier stroller to be able to use it. Disney World is crowded. Even if your child is not normally sensitive to light or sound, the shear amount of input can be overwhelming at times for little ones. Having some place where they can be protected a bit from all the lights and sounds helps settle them down a bit. There were other benefits to having the stroller, but I think you get the idea. For us, at that age (2.5 years old) it was the right decision. When we go back, it will depend on how old he is as to whether we bring a stroller. Mike felt like having to carry it was a BIG pain in the neck on buses, but the benefits after we got to the park outweighed the difficulty on the trams. 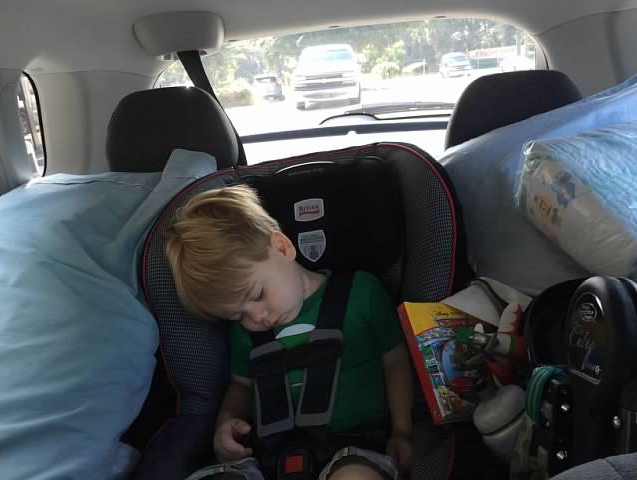 I think if we were to go back next year (as I would love to for his 4th/1st birthday – he’s a Leap Year baby) we’d probably bring the stroller again since he’ll more than likely still be napping. But once he’s a bit bigger, I think strollers at Disney will be in the past for us. Why? They really are pains in the neck on the transportation and pre-kid, we always made sure to only carry what we could fit in our oh-so-fashionable fanny packs. In my next post, I’ll address how to keep your stroller safe and make it easier to find amongst that sea of identical strollers. Stay tuned. 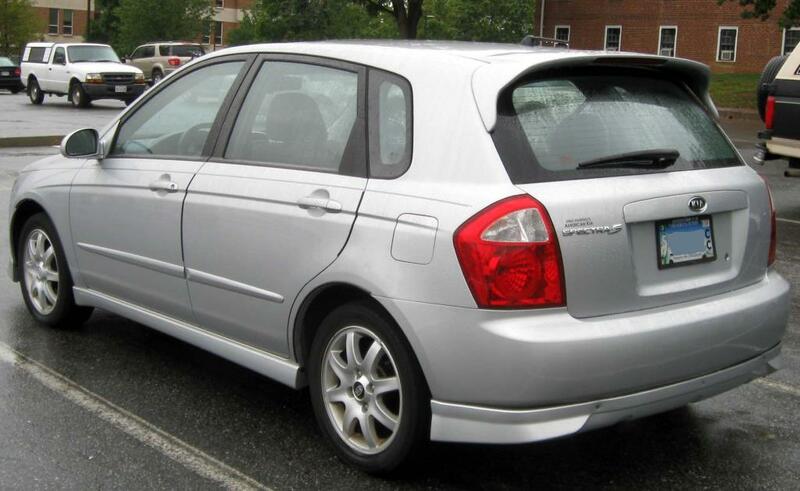 That’s a Kia Spectra 5 hatchback that held stuff for two adults and a kid (including stroller) and was driven from Tennessee to Florida. We were a bit tight. Surprisingly though, the adults had plenty of space and The Boy had quite a bit of leg room where you can’t see it. So? What did we bring? We like sleeping with our own pillows and I’m fairly allergic to dust so I have bad reactions when I have to sleep on some hotel pillows exclusively. Prescription medications, Epi pen, etc. Put this in a small, easy open and easy to get to bag for car trip. Bring new items out when unhappiness ensues. Puffy/fuzzy stickers – these were the biggest hit after the Planes stuff. Here are some items I packed for taking to the Parks. Notice I’m including a couple things from the list above since we used some of them both in parks and out. These are the main items we packed, I’m sure I forgot some. But at least it will give you an idea of what you need and don’t need when going to Disney. For the introduction and part 1, click here. UnderCover Tourist – This site has calendars that will let you gauge the crowd levels for the days you’re thinking of going. Use the color coding to decide which day you should go to which park. Should you avoid a particular week like the plague? Which park is open longer/shorter? In addition to Disney, it includes information for Universal Studios and Universal’s Islands of Adventure. And if that’s not enough, you can order tickets from them with tax already included in the price. That means, they’re cheaper than paying at the resort or the parks – and you don’t waste precious touring time standing in a line to buy tickets. MouseSavers – Check out this site for good discounts on hotels, shopping, and theme parks around Orlando. Be sure to sign up for the newsletter because they will periodically send out a link with a special Under Cover Tourist page that will get you discounts on the already less expensive tickets available at Under Cover Tourist. DisBoards – The DisBoards are a great place to ask fellow Disneyphiles for advice on your upcoming trip. The two boards that I’ve seen the most helpful people are Disney For Families and the disABILITIES! Board. Just a note on the disABILITIES! board, I recently helped a cousin with some information for an upcoming Make-A-Wish trip she and her family were doing with their son. They have great folks on there who are so helpful. If you have a child or family member with a Wish trip, check out that board. The Dis also has a really good newsletter you can sign up for as well as a podcast.